The first of Air New Zealand’s new-look Boeing 787-9 Dreamliners has touched down in Auckland, with a freshly configured interior offering more premium seating arrangements in response to growing demand for premium travel, increasing the number of Business Premier seats from 18 to 27 and Premium Economy seats from 21 to 33. Air New Zealand Chief Marketing and Customer Officer Mike Tod says the airline is expecting the new cabin layout to be popular with customers. “Since we introduced the Dreamliner, we have seen strong customer demand for our award-winning Business Premier and Premium Economy cabins and the products and service that come with these. Increasing the size of these cabins on our new 787-9 Dreamliners will give more customers than ever the opportunity to experience why Air New Zealand has been named by Airlineratings.com as the best airline in the world for the past four years,” Mr Tod says. Mr Tod says the team at Boeing has been excellent to work with during the design process. “They share our vision of taking comfort in the sky to the next level for more people and have supported Air New Zealand as we set a new benchmark for 787-9 Dreamliner travel,” he says. Boeing Commercial Airplanes Senior Vice President, Asia Pacific & India Sales Dinesh Keskar, says the manufacturer has enjoyed the opportunity to work with the 787-9 Dreamliner launch customer on this reconfiguration of the aircraft. “Since the launch of the 787-9 Dreamliner, Boeing and Air New Zealand have partnered together to bring a new level of capability and comfort to passengers around the world. With the delivery of its tenth 787-9 Dreamliner - and its newly refreshed interior - Air New Zealand is once again demonstrating its commitment to taking the customer experience to the next level,” Dr Keskar says. 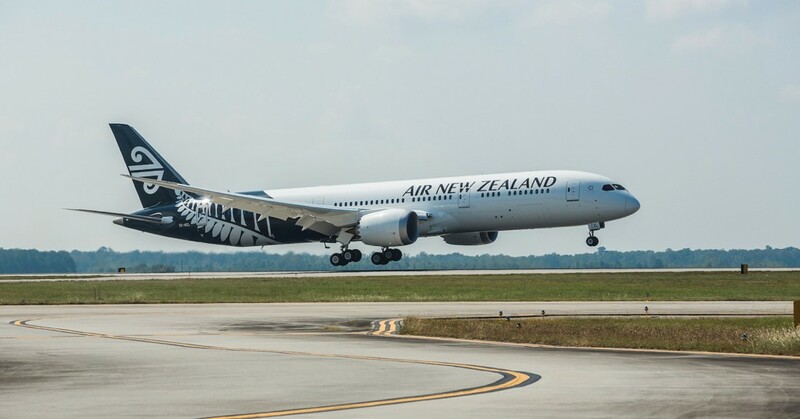 Air New Zealand was the first airline in the world to take delivery of the revolutionary 787-9 aircraft in 2014 and this latest arrival takes the airline’s fleet to 10 Dreamliners. The delivery is also the airline’s first from Boeing’s facility in North Charleston, South Carolina. The fleet has performed well to date, delivering good fuel efficiencies with each aircraft 20 percent more efficient than the aircraft they have replaced. The latest aircraft, with the tail number ZK-NZL arrived in Auckland early last Sunday evening and will enter normal scheduled services from Sunday 15th October, operating a service to Sydney. It will be deployed onto the Auckland-Houston route in December 2017, the first time a Dreamliner will regularly service one of the airline’s North American routes.